Our collective lack of education about lead’s hazards created a mess for future generations to clean up. 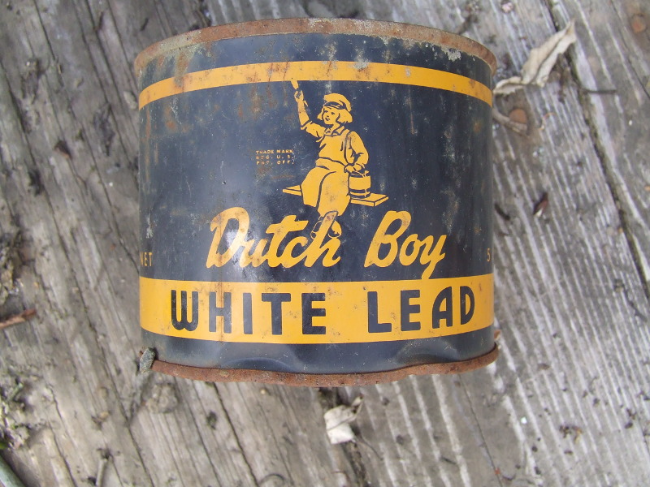 Dutch Boy White Lead Paint. CC-SA by Thester. 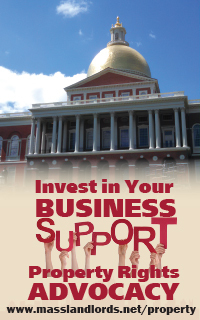 Massachusetts lead paint regulations are expected to undergo a major change December 1, 2017. See what it means for owners and managers. Note: The Lead regulations did change on December 1 as expected. See 105 CMR 460 Lead Poisoning Prevention and Control. According to the MA Department of Public Health (DPH) Website, DPH intends to file changes to 105 CMR 460, the lead paint regulations, on December 1, 2017. The changes will take effect immediately upon filing. These changes have already been through one round of public comment. We are not aware of any reason why these changes would be delayed. Owners and managers should expect a lead paint change on December 1. Prior to public comment, there were four major classes of change. First, DPH sought to reduce the number of surfaces considered “accessible/mouthable.” David Burgess of Emerald Lead Testing provided MassLandlords our first estimate of this impact, which we agree may reduce average deleading costs by one-third to 40%. Second, DPHproposed decreasingthe blood lead level that constitutes poisoning. There is no biological use for lead. Its presence in children is correlated with lower IQ’s, lower lifetime earnings, and possibly higher likelihood of antisocial behavior (read: crime). If we could wave a magic wand and bring the level to zero we would do that. The blood lead levels were proposed to be reduced from 25 micrograms per deciliter to 10µg/dL. Third, DPH proposed removing specific wording barring the use of lead paint. They said, rightly, that this was already covered by statute. Certain grandfather provisions dating back to the origin of the regulation were also deleted. Fourth, DPH proposed removing Massachusetts-specific regulation on encapsulants and deferring to ASTM International. Public comment closed September 16, 2016. Post comment, three of the four major classes of change were sustained:accessible mouthable surfaces have been downscoped, blood lead levels have been reduced, and encapsulation standards will defer to ASTM. First, renovating vacant or owner-occupied single or multifamily units still require notice to appropriate regulatory bodies, but the wait time after serving notice has been eliminated. Second, any contractor seeking to use chemical strippers will need two inspections, first to verify that the wood has been completely stripped, then again at a later date to verify that it has been repainted with lead-free paint. Third, accessible mouthable surfaces have been furtherdownscoped. They now include only window sills five feet or less from a floor, a stair tread, or the ground; hand rails; and railing caps. In total, over the last year of changes, this means that the following surfaces are no longer accessible mouthable: outside corners of walls, doors, door jambs, door casings, window casings, balusters, treads and risers, thresholds, lattice work, columns 6” or larger in diameter, clapboards and shingles, and masonry. Fourth, important: a new class of “friction surfaces” have been defined that include previously accessible mouthable surfaces. These are doors, door jambs, and treads. Just like “movable/impacted” surfaces, encapsulation will not be allowed on friction surfaces. Fifth, the lead level allowed in paint before it is considered a hazard has been reduced from 600 ppm to 90 ppm. 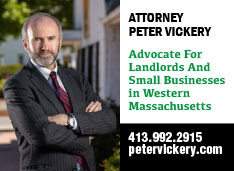 MassLandlords has not evaluated the impact of this change, but conceivably many, many more surfaces will now be flagged as containing lead, possibly most surfaces. Most of the deleading process, all of the Tenant Lead Lead Law Notice and Disclosure, and the essence of strict liability will remain unchanged on December 1, 2017. Do I have to Inspect? The relevant law is MGL Chapter 111 Section 197. It reads, “Whenever a child under six years of age resides in any premises in which any [part of the apartment] contains dangerous levels of lead, the owner shall abate or contain said [part of the apartment].”The law doesn’t say anything about whether the owner is aware of the hazards. It simply talks about what is without regard to whether it is known. Let’s consider it from a practical business point of view. Deleading tax credits remain woefully inadequate. Suppose you adopt blinders as a business policy, check the box “no knowledge of lead hazards,” and your apartment is actually clear of lead hazards (the best case scenario). You may never hear about it again. Your building is actually clean (you just don’t know it). The kids there might never get sick. But your tenant’s kid could still get sickat a daycare, for instance, or from the water supply. 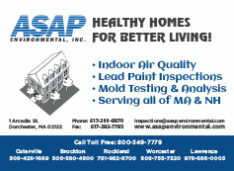 When the state comes in to inspect your building, they will find no dangerous lead levels. Your place is clean! But you will still be liable because the law says strict liability, meaning, as we’ve been told, you cannot raise any defense whatsoever. It doesn’t matter that your building is clean. Without a lead certificate, you are liable for all that kid’s medical expenses. If our understanding of strict liability is wrong, just think about the average rented premises, whose inspection won’t come up clean. Inspectors can always find something. If a kid gets sick, if there is no lead certificate, if there are lead hazards in the apartment, you the landlord will have a serious legal and financial burden imposed in short order. All the lead liability will land squarely on you. And remember the Massachusetts lead-paint Catch 22: you cannot have children under six living in an apartment with lead hazards, nor can you turn them away for their own safety, because that would be discrimination. We therefore feel it is advisable, on business grounds, not to adopt blinders but to inspect and delead. In previous articles, we showed how the change in blood lead levels will result in a ten-fold increase in poisonings. The changes taking effect December 1, 2017 come with no legislative funding for treatment. This means that the medical support for these cases will be paid for entirely by owners operating without lead certificates. 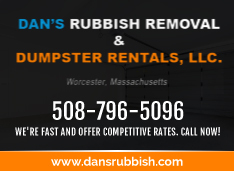 MassLandlords’ recommendation is that all owners with units that remain uncertificated should plan to get inspected and compliant starting December 1. The reduction in accessible/mouthable surfaces will cover one-third of the cost, and the Schedule LP tax credit will cover another 15% or so. Lead certificates are a competitive advantage over other owners and create lasting resale value. And compliance will eliminate a potentially large exposure. Best of all, if we were all fully compliant, we would never have to read anotherlead paint article ever again. 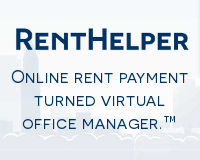 If an apartment is on a farm, does the barns have to be deleaded also to be able to rent it to people with children?